Successfully saved One Pot Garlic Herb Chicken with Pasta and Artichokes to your Calendar. You can also save the ingredients to your Grocery List. 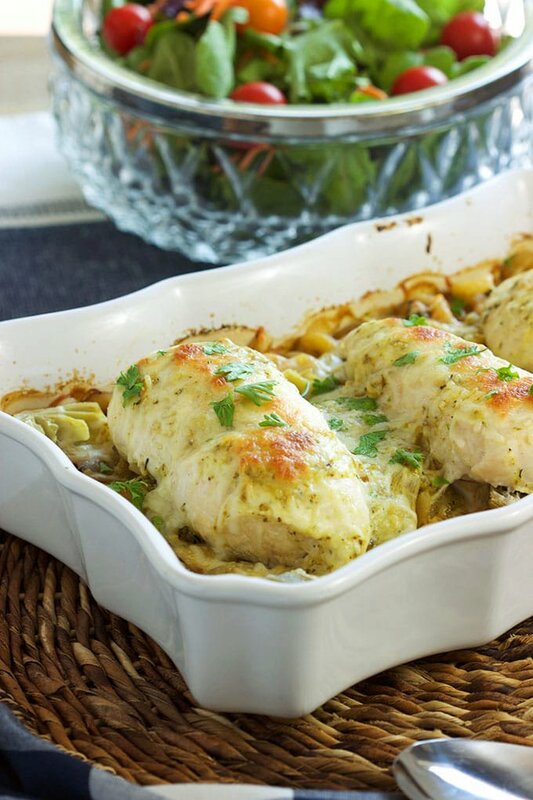 1 package Good Table Freezer to Plate Lemon Garlic Herb 1 cup frozen artichoke hearts 1/4 cup chopped oil packed sun-dried tomatoes 4 frozen boneless skinless chicken breasts 3/4 cup shredded mozzarella cheese.